Industrial Training Institutes are scattered all over the country due to its popularity of offering job-oriented courses to the students right after passing their 10th or 12th board examinations. These institutes are present in every states of India where they offer job-oriented professional courses. These institutes every year develops skilled workforces for various industries in the country and grooms each and every skilled professional in a particular trade. ITI offers training in various trades of Engineering and Non-Engineering sectors. Earlier ITI courses used to be a popular career choice for the students who want to take up a particular trade profession. But, now there is not much craziness among the young students to opt for ITI courses, since they are going for Engineering diploma and degree courses or similar like courses. Still. Many students prefer to go for ITI courses since it provides easy access to pursue technical courses and potential jobs after completion of courses. In general, an ITI course consists of 6 months to 2 year duration. Recently, the Government of India has implemented the concept of Skill India Initiative which helps in developing a workforce for the entire country professional and marketing skills and ultimately a sound employment to the millions of peoples. Moreover, if the students pursue ITI courses from Government ITI colleges, then there is a high chance that it will also pave way for the job at the government sectors. 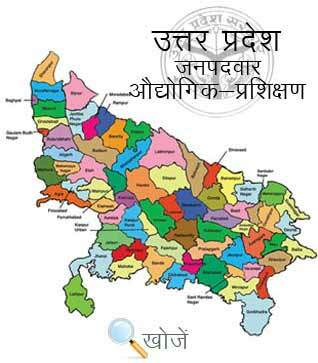 Here are the lists of the popular Government ITI Colleges in Uttar Pradesh at www.upiti.in .